The NEC Electra Professional Telephone System is a complete digital telecommunications center that offers you a full featured system that can be easliy customized to fit your specific organizational needs. All three Electra Professional systems are equipped with (2) types of battery backup. The first is battery backup for continuous operation. In the event of a commercial power outage, the battery backup allows your business to remain fully functional for up to (30) minutes. With the battery backup for system memory, your Electra Professional system maintains memory for up to (14) days. The Electra Professional Phone options include large, easy to read display and (20) programable "one touch" keys with LED's. The Electramail AD8 Digital Voice Mail System provides a digital link to your Electra Professional Level 2 and Level 2 Advanced. When it comes to the way your company handles incomming calls, there are many things that are important to you, image accuracy and call handling time. With all the bases coved your employees' productivity will soar. The NEC NEAX 2000 IVS is a complete communications system which enhances productivity and controls cost. Its objectives were to give you the highest cost to performance ratio for your investment. The NEC D-Term Series III Phone options include large, easy to read display and (20) programable "one touch" keys with LED's. 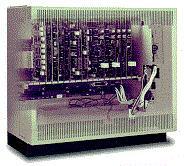 The NEC NEAXMail AD-16 is a fully featured 4 - 16 Port digital voice processing system. With digital integration and the expanded 1.7 GB enhanced IDE disk drive it allows live recording of your conversations directly to your mailbox. It allows for acurate messaging taking, message indication and delivery by direct digital integration to the NEAX 2000 IVS. The NEC NEAX 2400 ICS System upholds NEC's long-standing tradition of providing voice and data systems that are feature and application rich. 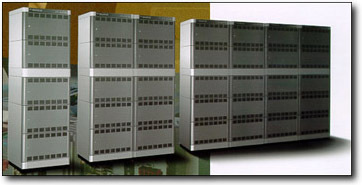 The NEAX 2400 ICS is designed to serve the present and future needs of Comtemporary Business, Hospitals and Universities. The NEAX 2400 ICS supports multi vendor applications through its Open Application Interface (OAI). It also provides support for other application-oriented, multi-vendor solutions using Integrated Services Digital Network (ISDN), video conferencing, Integrated Voice Responce (IVR), voice mail systems and wireless communications.